"We could not find product x in your QuickBooks Online company"
Your inventory item in QuickBooks Online is missing or you mistyped the name. You should check that the inventory item exists in your QuickBooks Online company. If it does exist, check the spelling and try again. If you're still getting this error, confirm that you're using the QuickBooks Online Inventory Name and not the QuickBooks Online SKU. 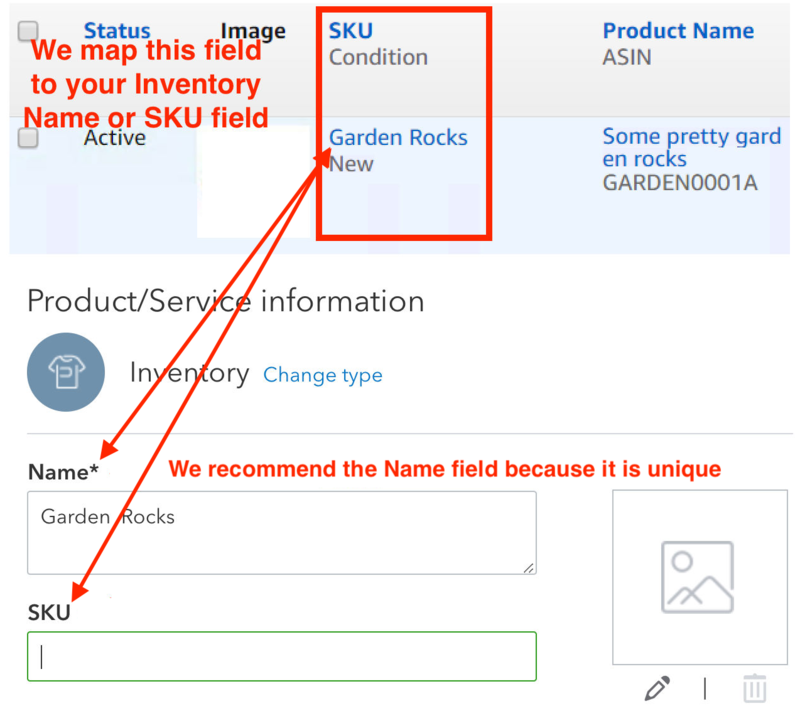 The Name field is unique to QuickBooks Online, while the SKU field isn't unique, meaning more than one inventory item in QuickBooks Online can share the same SKU. Confirm your setting on the SKU Mapping page through the Integration link (click on the Amazon tile) to see what you selected for Amazon SKU mapping. If you selected Name Field, then we'll map your Amazon SKU to the QuickBooks Inventory Name. If you selected SKU Field, then we'll map your Amazon SKU to the QuickBooks Inventory SKU.